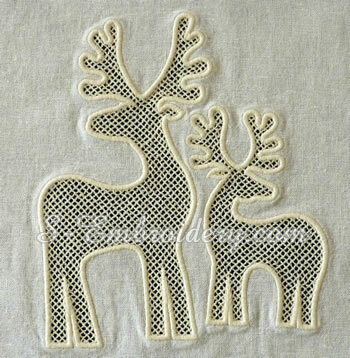 A set of 2 reindeer machine embroidery designs in cutwork lace technique. 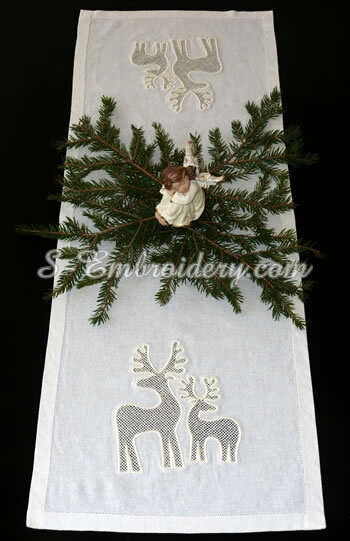 The designs can be used as a decoration in different Christmas embroidery projects. You receive 2 machine embroidery files in one of the supported formats and PDF files with design information and instructions for creating cutwork lace.